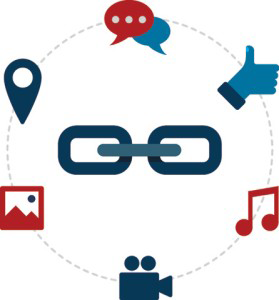 Connecting, sharing and engaging are key elements in every digital marketing campaign. Audio Innova supports companies in the wide and delicate world of the direct interaction with customers, in order to build, reinforce and promote their image and brand reputation through integrated Social Media Marketing campaigns. Editorial planning for the diffusion of contents, specifically drawn up with the aim to value the reputation of the company or of specific products. Thanks to the activity of Audio Innova’s professionals, companies gain immediate advantages in terms of link popularity, web popularity and brand reputation, which turn into increased interactions, new contacts and new customers. Companies improve their ROI index, that is the returns on their online investments. Forums, mailing lists, portals and specialized websites. The trend of the campaigns is constantly monitored. In order to build an open and proactive relationship with its customers, Audio Innova provides them with detailed analytical reports. The customers will thus be able to check and assess in real time the effectiveness of the strategies applied.